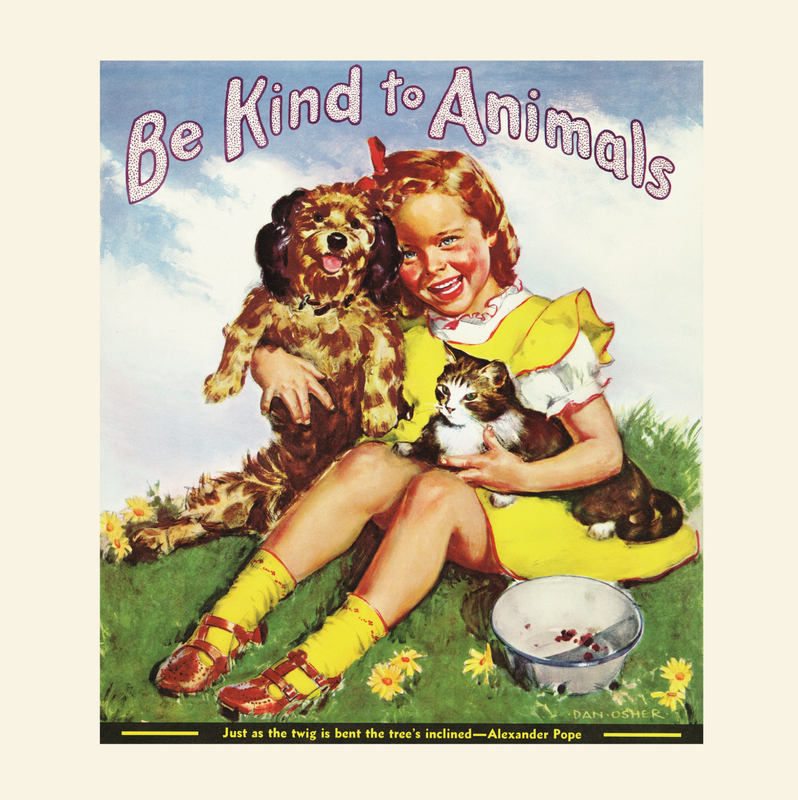 In 1915, American Humane initiated Be Kind to Animals Week® and launched a national poster contest for children. Be Kind to Animals Week is still celebrated annually during the first full week of May and is one of the oldest special weeklong observances in the U.S.
For generations of Americans, May has always been associated with kindness. Millions of people around the country young and old have joined American Humane, the country’s first national humane organization, in celebrating its “Be Kind to Animals Week®” (May 7-13), the longest-running, most successful humane education campaign in American history. To build a new generation of animal advocates, American Humane is challenging 1 million people this year to take the “Be Kind to Animals Week” pledge, asking them to do four simple things to protect and better the lives of animals, including 10 billion farm animals by seeking out humanely raised foods with the American Humane Certified® seal; the 6-8 million animals abandoned each year by adopting from shelters; the more than 100,000 animal actors who entertain, educate and charm us in film and television each year by looking for the “No Animals Were Harmed®” end-credit; and the many endangered and disappearing species of the world by cultivating caring and understanding of magnificent creatures by taking their children to Humane Certified™ zoos, aquariums, and conservation centers. To celebrate “Be Kind to Animals Week®,” take the pledge, find ideas and curricula designed to build empathy in children, and learn more about how you can support American Humane’s work to help animals, please visit www.Kindness100.org.